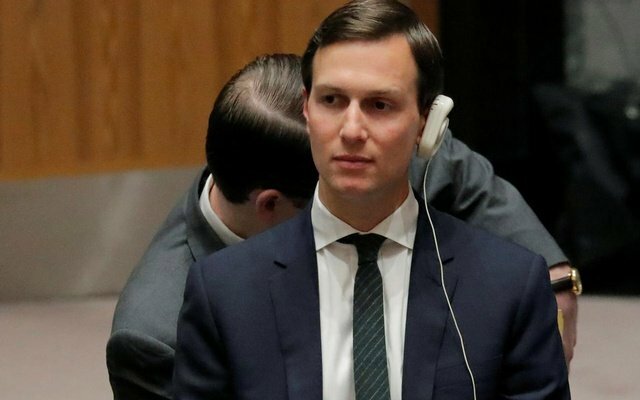 US President Donald Trump's son-in-law and close adviser, Jared Kushner, has lost access to the most valued US intelligence report, the President's Daily Brief, as the White House imposes greater discipline on access to secrets, two US officials familiar with the matter said on Tuesday. It also is unclear if and when Kushner's access to the briefing, known as the PDB, which requires clearance higher than the Top Secret level, would be reinstated. Kushner, a wealthy New York businessman married to Trump's daughter Ivanka, has not received his full security clearance because of his extensive financial links, which have taken a long time to examine. He has revised his security clearance form, called an SF-86, several times. A White House spokesman for Kushner did not immediately return a phone call and email seeking comment. Trump ignored reporters' shouted questions about Kushner and his clearance at an event on Tuesday afternoon. Kushner's attorney, Abbe Lowell, said in a statement: "Mr Kushner has done more than what is expected of him in this process." Trump's White House has been grappling with the security clearance issue since it emerged this month that staff secretary Rob Porter worked for Trump for a year with a temporary clearance despite accusations by his two former wives of domestic abuse. Porter has maintained his innocence. Kushner has had a broad portfolio in the White House. He has taken the lead on Trump's plan to forge a Middle East peace deal and led the Office of American Innovation, which is intended to modernise and downsize government programmes. Kelly, whose handling of the Porter case was heavily criticised, decreed on Feb 16 that any interim security clearances for staffers whose background investigations had been pending since June 1 or before would be discontinued within a week. On Friday, Trump said he would leave it to Kelly to settle the security clearance dispute with Kushner, but left little doubt he wanted the case settled in a way that allowed Kushner to keep his job. As president, Trump could grant Kushner a full security clearance on his own authority.